Now is the time to plan your summer travel! Airfare to Europe costs the lowest I’ve seen in years, and the strong dollar against the Euro enables you to get a lot more for your money. You may be thinking, “But I’m feeling apprehensive about travelling outside the US right now.” I can understand that; however, if you travel to the right places–and with the right people–you will encounter a more profound, locally seasoned experience that you could not have dreamed of on your own and where you’ll feel secure. 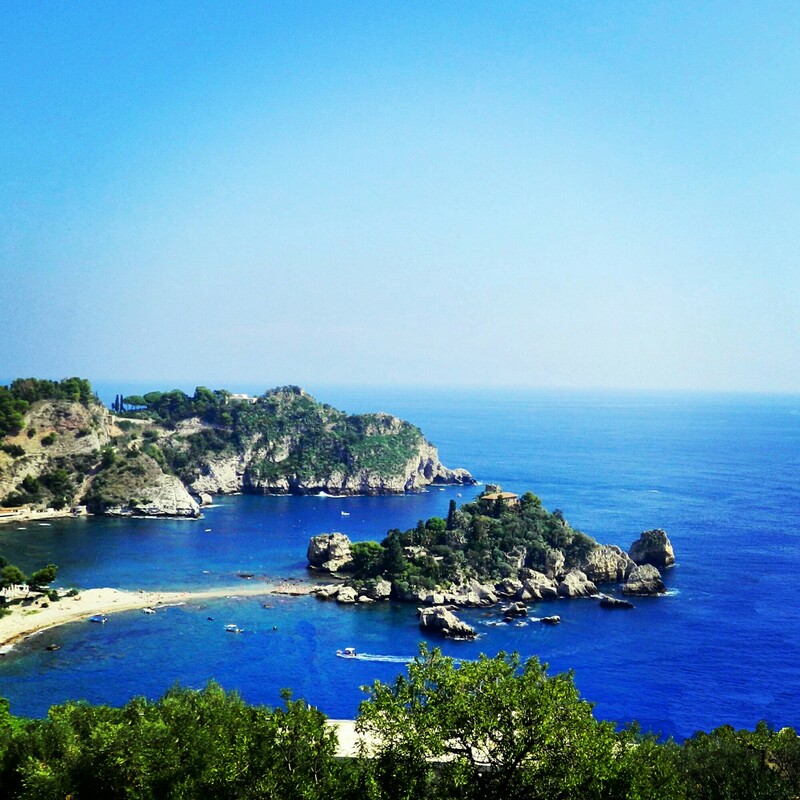 Certainly, I’m always talking about traveling to Sicily with me (NB Taormina’s Isola Bella, pictured), but I have some friends who specialize in other regions of Italy and who offer similarly fabulous opportunities: Danielle Oteri and Christian Galliani specialize in Naples, Irpinia, and Cilento through their company Feast on History, and Michelle DiBenedetto Capobianco of Majella Home Cooking is offering a tour for the entire family in the Southern Italian region she knows best: Abruzzo. I highly recommend you look beyond the big guys and the big groups and the big cities because we will delight you with our deep connections to southern Italy and remarkable, personalized hospitality.